Wavy, soft, silky; medium length. 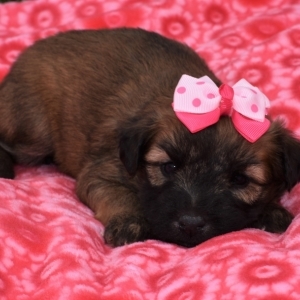 Known for its happy, spunky disposition, the Soft Coated Wheaten Terrier is a wonderful dog to be around. 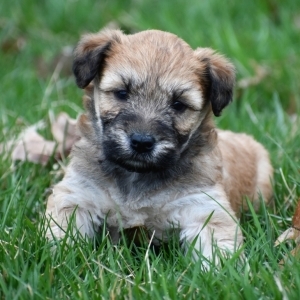 One of several terriers with Irish ancestry, the Wheaten is unique in its group because of its soft, silky coat and extra-long facial hair. 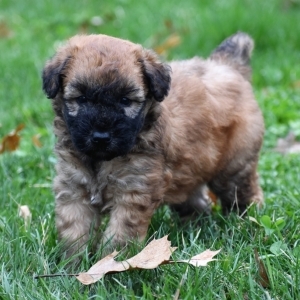 Wheatens are deeply devoted to their families, get along well with children and other pets, and love to be active. Wheaten Terriers make excellent, affectionate housemates and are eager to learn and please. 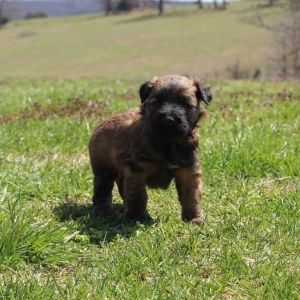 The unique personality of the Wheaten combines the acute alertness of the terrier with the stability of the working dog. 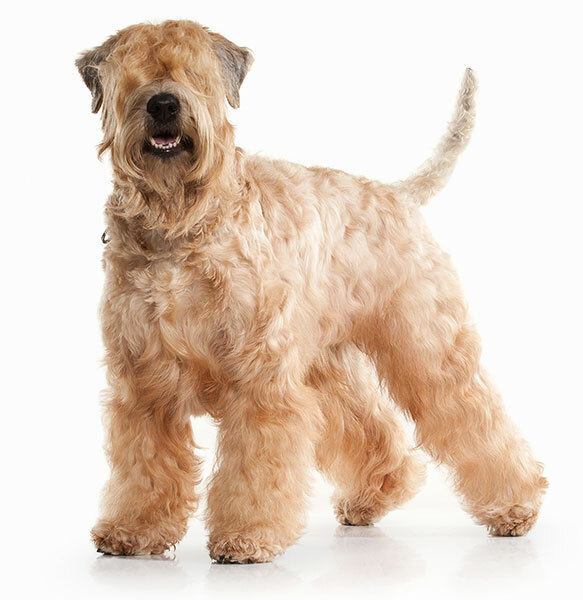 The Soft Coated Wheaten Terrier likely originated in Ireland, but it is unknown exactly when.